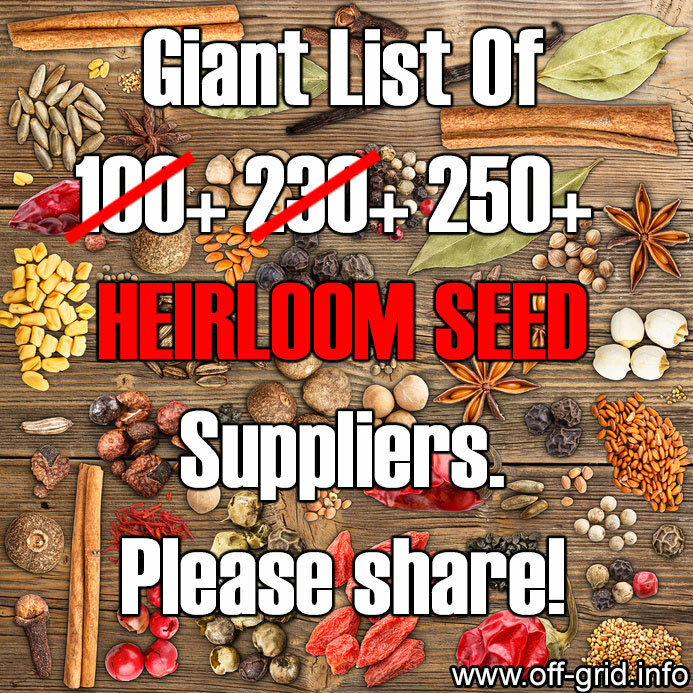 Here is a useful list of 40+ 250+ companies supplying heirloom / non-GMO / organic seeds. If health is wealth, then this page is solid gold! :) Please share this important information. If you have any additions or corrections for this list, please let us know! We welcome genuine suppliers based anywhere in the world. Let's make the biggest and best list we can! The Tasteful Garden www.tastefulgarden.com Alabama, USA They sell organic and non-gmo tomatoes, herbs, edible plants and many more. You can also check their website for their products lists. Contact:256-403-3413 or through them through their contact form. FAMILY FIRST SUPPLY SEED BANK familyfirstsupply.com Arizona, USA They have a huge of varieties of heirloom and non-GMO seeds. You can contact them thru their online form. Diaspora Seeds www.diasporaseeds.com California, USA A small family-run seed business in rural Anderson Valley. Many of the seeds they offer are heirloom seeds; resilient, productive and delicious offerings from many different cultures; geographies and time. You can contact them thru their online form. Sprout People sproutpeople.org/ California, USA They sell organic seeds like chia, clover, sunflower and many more. Contact:415-370-9171 or through their online form. Mary's Heirloom Seeds marysheirloomseeds.com Florida, USA They offer all organic, open-pollinated, non-gmo and non-hybrid seeds. All the seeds that you order will be "Free shipping" and will be delivered within 24 hours expect for holiday. You can contact them thru the online form in their website. Grower Jim's Plants and Produce growerjim.blogspot.com Florida, USA They are a small sustainable farm selling fresh produce, plants and seeds. Their seeds are hand-picked, open-pollinated, non-hybrid, non-GM, and heirloom types grown chemical-free in a natural environment. 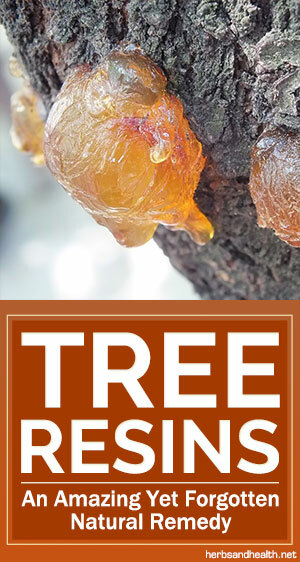 Their selection includes both edible and ornamental varieties of trees, shrubs and herbaceous plants. Contact them through their website or Facebook page. Rich Farm Garden Supply www.richfarmgarden.com Indiana, USA They provide state of the art parts search services, quality goods, rare and heirloom nursery stock, and seeds for vegetables, herbs, flowers, and trees from the old open-pollinated standard varieties to some newer ones and many old and rare varieties. Contact: (765) 584-2500 and email:[email protected] "
Skyfire Garden Seeds www.skyfiregardenseeds.com Kansas, USA They sell over 125 varities of heirloom tomatoes; rare eggplants. heirloom peppers and more. All of these seeds are all open-pollinated, non-GMO and no-treated seeds. You can order in their online form. GROUNDSWELL SEED FARM groundswellfarm.wordpress.com Maine, USA This is farm-based seed supplier that sells only certified organic, hand-harvested open-pollinated and heirloom seeds that are grown on their farm. Todd's Seeds http://toddsseeds.com Michigan, USA They are specialists in organic, heirloom, non-gmo and open pollinated vegetable, flower and sprouting seeds. You can contact him through the online form in the website. Organic Heirloom Plants www.organicheirloomplants.com Michigan, USA They raise their own organic plants and heirloom plants that are 100% free of chemical and pesticides. Rooftop Ready Seeds www.rooftopready.com New York, USA Rooftop Ready Seeds is the first seed company to offer New York City gardeners a line of locally-grown open-pollinated and grown using organic methods seed tailored to the unique urban climate and container planting conditions. You can contact them through the contact form in their website. The Freeman Family Farm http://thefreemanfamilyfarm.com North Carolina, USA Producer of 100% organic seeds of herbs, vines, vegetables and many more. The Seed Guy www.theseedguy.com Oklahama, USA They sell heirloom seeds that are open-pollinated, meaning they rely on natural pollination from insects or the wind. You can contact them through the online form. Green Journey Seeds www.poppyswap.com Oregon, USA They sell organic, non-hybrids and non-gmo seeds.You can contact them through their online form. The Roughwood Table www.roughwoodtable.org Philadelphia, USA A non-profit educational foundation devoted to heritage foods prepared from heritage seeds. For a current listing of heirloom seeds from our collection, please check visit our shop. Mauro Seed https://mauroseed.com Tennessee, USA For each pack of non-GMO, heirloom vegetable seeds you buy, they donate one to someone in need. Based in Nashville, TN. Rob's Rare and Giant Seeds www.robsrareandgiantseeds.com Tennessee, USA Not sure if every single thing they sell is heirloom/organic, but they are growing seeds for some very rare plants. They carry zucca melon seeds, which nearly went extinct. They have some weird and wonderful stuff. Direct Garden Seeds www.directgardenseeds.com Virginia, USA At Direct Garden Seeds they only sell quality seeds, fertilizer, insecticide, tools, and much more. All of their garden seeds are 100% non-GMO. You can contact them through their online form. Garden Medicinals and Culinaries www.gardenmedicinals.com Virginia, USA All of their seeds are untreated and are grown organically, ecologically, or conventionally and that are open-pollinated, non-gmo varieties. Contact:(540) 872-8351. Indoor Harvest Gardens www.indoorharvestgardens.com USA (? - contact info not supplied) Committed to preserving heirloom varieties and safe, organic, non-gmo seed. Practising sustainable, earth-friendly, biodynamic farming methods. A'bunadh Seeds abunadhseeds.com Alberta, Canada Local Alberta-Grown, Short Season Open-pollinated and Heritage seeds. Contact via website. Eagleridge Seeds www.eagleridgeseeds.com British Columbia, Canada They specialize in rare organic heirloom seeds since 1995 and completely non GMO. Contact:250.537.5677 or through their online form. Solana Seeds solanaseeds.netfirms.com Quebec, Canada A small seed company that offers a variety of vegetables, flowers and exotic plant seeds. You can order through their online form. Seeds2Freedom www.seeds2freedom.com.au Australia Seeds2freedom sells Organic, Heirloom and Open Pollinated seeds. Great selection and online ordering. Jankala Organic Seed www.seed.com.au Middleton, SA, Australia Online provider of quality organic seed. Providing organic and heirloom seed varieties of fruit, vegetables, herbs and flowers. Seed Savers network www.seedsavers.net Byron Bay, Australia Join a network of local seed savers! Succeed Heirlooms www.succeedheirlooms.com.au/ Queensland, Australia Quality, old-fashioned, open-pollinated heirloom vegetable seed varieties. Succeed Heirlooms is an online mail-order seed business located in Queensland, Australia and stocking only heirloom and open-pollinated varieties of vegetable, herb and flower seeds. All seeds are non-GMO, non-hybrid and not chemically treated. Birdland Seeds birdlandseeds.com Victoria, Australia Birdland Seeds is a family owned micro business specializing in open pollinated organic seed. All seed is germination tested prior to release. Koanga Institute www.koanga.org.nz New Zealand The Koanga Institute is a nationally recognised seed saving, permaculture research and sustainable education organisation dedicatd to the protection, conservation and development of NZ's heritage food plants. They have an online shop and seed catalogue. Sentinels Group Seeds www.sentinelsgroup.co.nz New Zealand A collective of New Zealand based growers offering not only heirloom but also locally adapted seed lines for sale. Seeds bred for New Zealand climate by our passionate growers, naturally grown and selected for optimum quality, taste, hardiness and disease resistance. Purchase directly from the grower. Siberian Partisan farm www.spartisan.ru FarmRussia, Siberia Founded in 1884. Grows heirloom seeds to order. Seeds are harvested from select plants showing no signs of diseases, in an area with up to 100% humidity and many cold nights. "No GMOs grow in a thousand miles radius". Looking for outdoor gear? Check out camping and hiking equipment at Gear Lobo.